AT 15M BELOW the water's surface, all I can hear is the squeaking of the coral, the gentle roar of the waves, and the reliable, reassuring thud of my own heartbeat. 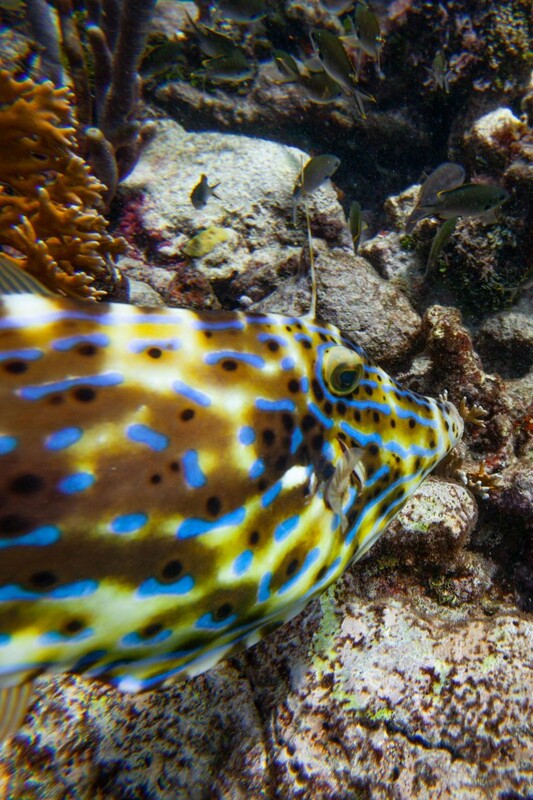 I float, suspended in the endless blue, watching the dappled light play over the reef and multicoloured fish of all sorts of shapes and sizes darting in and out of their hidey-holes. Down here, you develop an intense awareness of your body: the constant urge to breathe, the pressure that builds in your ears, and the knowledge that every movement is using up precious oxygen. It's taking all my attention to override my instinct to head up to the surface. I look at my watch: I've been under the water for more than three minutes. I slowly make my ascent to the air, where I exhale before taking a few calm, steady breaths. While I'm personally chuffed with my time underwater, when it comes to free diving, three minutes is nothing, and 15m is, well, not very deep. But then I'm just setting out on my journey, under the excellent tutelage of former professional South African free diver Hanli Prinsloo, who can hold her breath for six minutes and reach depths of 60m. Even that is small-fry – the standing world record for staying underwater without breathing is 24 minutes and 3 seconds. Free diving is exactly what it sounds like: the act of diving in deep water without any breathing aids. It's just you and your mask – and your buddy, who watches over you from the water's surface. Today, I'm not diving for abalone or octopus, and I'm a long way off breaking any records. 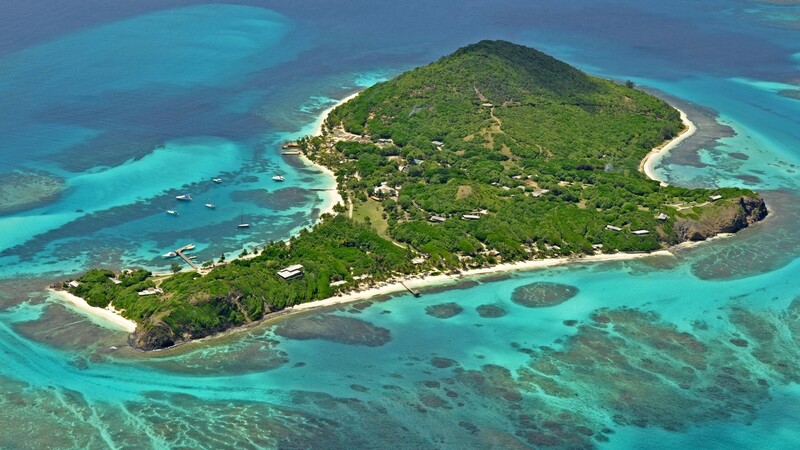 Instead, I'm diving in the brilliant blue waters off the private Caribbean island of Petit St Vincent with Hanli Prinsloo and her partner Peter Marshall, who together form I AM WATER. There couldn't be a better place to learn how to free dive. For starters, the waters here are a delightful 28°C, which makes the diving a much calmer, more pleasant experience. Then, of course, there's the island itself. 22 'cottages' dot Petit St Vincent's 115 acres, each with an uninterrupted view of the sea. Sitting on my private terrace, I can barely see any other signs of human life in the island's vegetation, save for a red London phone box perched on a rocky outcrop, a folly of Petit St Vincent's owner. Some of the cottages have private beaches, some are by the ocean, and some sit higher up on the hill, with views over the bay. This is pared-back luxury: everything is deeply comfortable but nothing is over the top. If there's anything you need, you can hoist a yellow flag outside your room and leave a note expressing your heart's desire – breakfast, fresh towels, a snack – and it will magically appear. The real 'luxury' here is getting away from it all. There's not even any internet, with only one small patch of WiFi near the restaurant, the idea being that you can switch off completely and focus on being present and in the moment – an ethos which chimes with I AM WATER and free diving. As part of our free diving course, led by Prinsloo, we do daily meditation and yoga, including special exercises (also used by opera singers), that stretch the ribs and diaphragm in order to prepare them to expand. We also do breathing exercises that we repeat when we're in the water that help slow your heartbeat and prepare your body to take in more air. 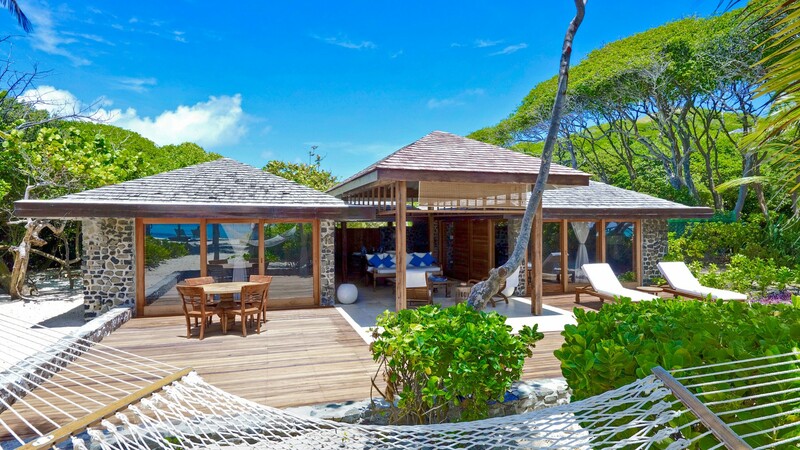 Sat in Petit St Vincent's yoga pavilion by the water, we spot turtles coming up for air as they munch their way through a patch of sea grass by the water's edge, and in the distance, dolphins play in the surf. The setting is idyllic, and perfectly tranquil. It's all a bit less tranquil when it comes to applying these learnings in the water. We hop into a boat and head out to an empty patch of sea, armed with some buoys, and split into two groups: Prinsloo leading the free diving, and Marshall the all-important safety training (including a hilarious but crucial demonstration of how to get your buddy back to the surface if something goes wrong, which involves taking it in turns to play dead). With Prinsloo, we hold onto the life ring and float face down in the water, going through our breathing exercises to calm our body and our minds. One by one, we take it in turns to descend, pulling ourselves headfirst along a weighted rope – we later master the art of duck diving in a way that doesn't expend much energy, saves oxygen, and gets you deeper faster. Ahead of my first dive, I'm admittedly nervous. We're being buffeted by waves, the sun's gone in, it's started to pour with rain, and the idea of going straight down head-first is, quite frankly, not all that appealing. Prinsloo senses my distress and talks me through some extra breathing, helping me to relax, and eventually I go for it. Under the water, I surprise myself by remaining calm, heading down the rope slowly and carefully, equalising my ears and taking time to scan the water around me. At the bottom, I turn upright and make my way back to the top. At the surface, I feel stupidly euphoric and eager to go again. After a few more rounds and safety drills, we head over to a reef, where we buddy up and explore, becoming more confident and diving deeper. We're only here for a few days, but if you're lucky enough to do one of the full-length courses, you can reach depths of up to 30m. 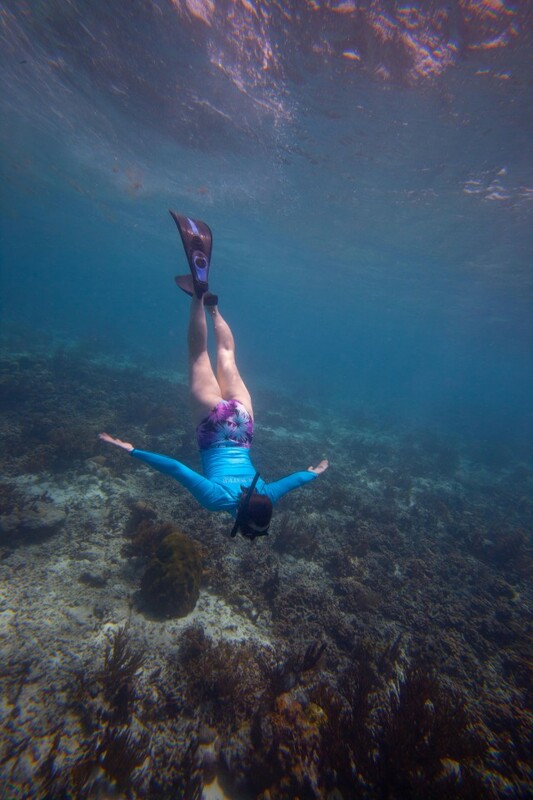 Prinsloo glides among us like a mermaid – a visual helped by her metallic scale-printed leggings and extra-long flippers – as we watch nurse sharks and a beautiful spotted eagle ray glide over the reef. I'm mesmerised, but Prinsloo laments the lack of sea life here. Tomorrow, she says, after more training, we're going to head to a protected reef further out, where the currents are stronger but the sea life is abundant. As you'd expect from people who spend so much time in the ocean, both she and Marshall are ardent ocean conservationists, and Prinsloo is involved in environmental projects all over the world. When we reluctantly return to Petit St Vincent for lunch, I can't wait to get back out into the water… until I take a seat in a hammock under one of the beach palapas and promptly fall asleep. The evening is spent on free diving theory, and Marshall takes us through the sport's history. 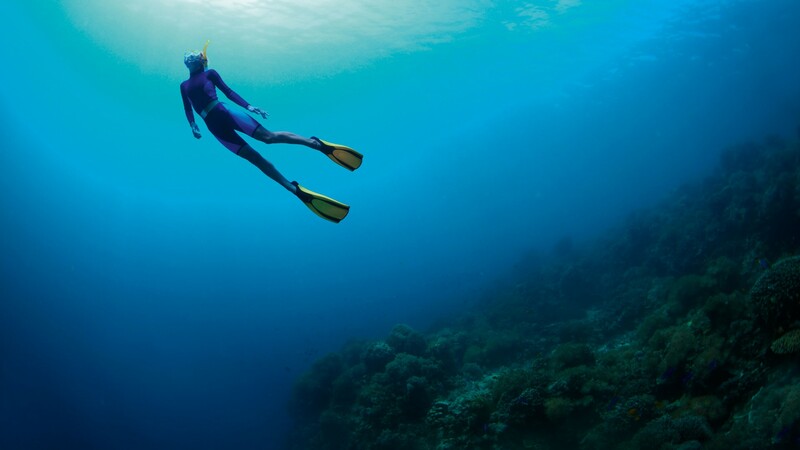 Free diving continues to mystify scientists and divers often go beyond what scientists believe our bodies' limits to be – take, for example, that science dictates our lungs should collapse at 50m below water. That said, there are plenty of associated risks if you don't have proper training and don't take the correct safety precautions. The next day, after some more yoga and a talk about ocean conservation, we head out on PSV's sloop, aptly named Beauty, and spend the day cruising around nearby islands. 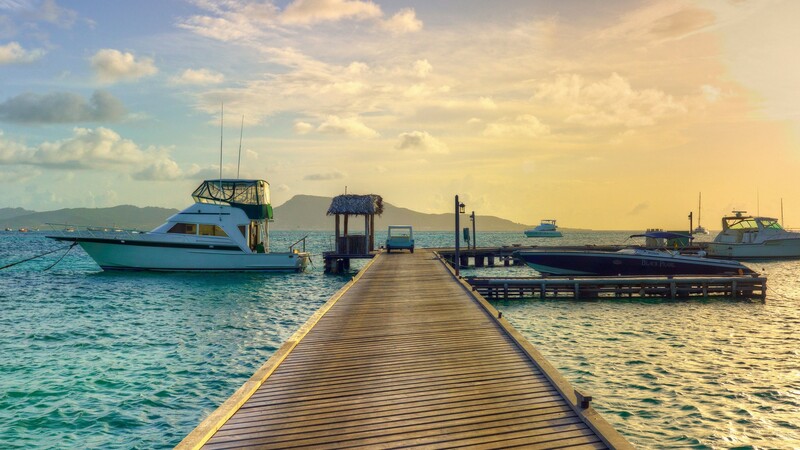 We come to a stop and get into the water at Tobago Cays, which sits within the National Park where wildlife is monitored and the reefs are under observation. 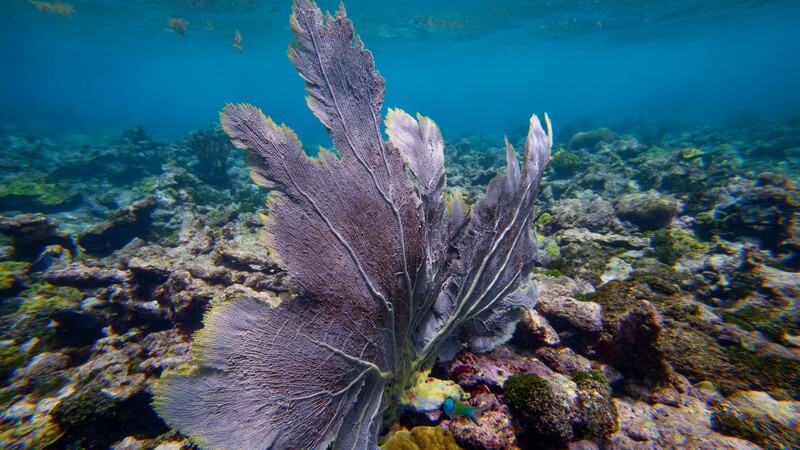 Here, the current is much stronger and it takes more effort to dive, but the results are worth it: the coral is incredible, and shoals of gem-coloured fish flutter around us. Nurse sharks make their way through the water, and Marshall swims between us taking photos, but the photos simply don't do the scene justice – it's like being in an episode of Blue Planet. We head closer to land, and find warm shallow waters where sea turtles gently graze on seagrass, and red starfish stud the sands below. It's a completely different world to the reef yesterday, despite their proximity. The two images stay in my mind's eye for weeks afterwards: one bright and beautiful, and the other empty and forlorn. Back on land, sat in Petit St Vincent's plush surroundings, I realise that I AM WATER's free diving workshops are far more than just a very nice holiday. Together, Prinsloo and Marshall are teaching to love the ocean, and how can you fail to protect what you love?